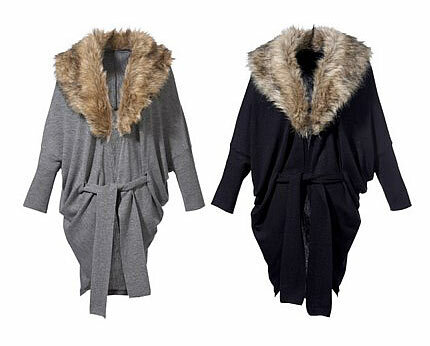 Add a touch of faux fur to your everyday attire and invest in this fashionable cardigan. Featuring loose kimono sleeves, a removable faux fur collar and a belt, it is an ideal purchase for the autumn/winter season, since it can be worn with anything and on any occasion. 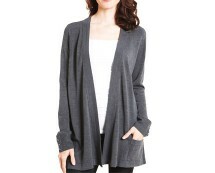 Get this wrap cardigan in grey or black from bonprix.co.uk and be a trendsetter this season! 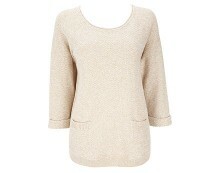 Twist yarn knit jumper with roll back sleeves and pocket detail. 100% Cotton. Machine washable.